Madison, WI is located in the center of Dane County in south-central Wisconsin, 77 miles west of Milwaukee and 122 miles northwest of Chicago. It’s a vibrant cultural hub of art, music, food, beer, and home of the Wisconsin Badgers Football Team. It’s a naturally beautiful city with plenty of outdoor activities. 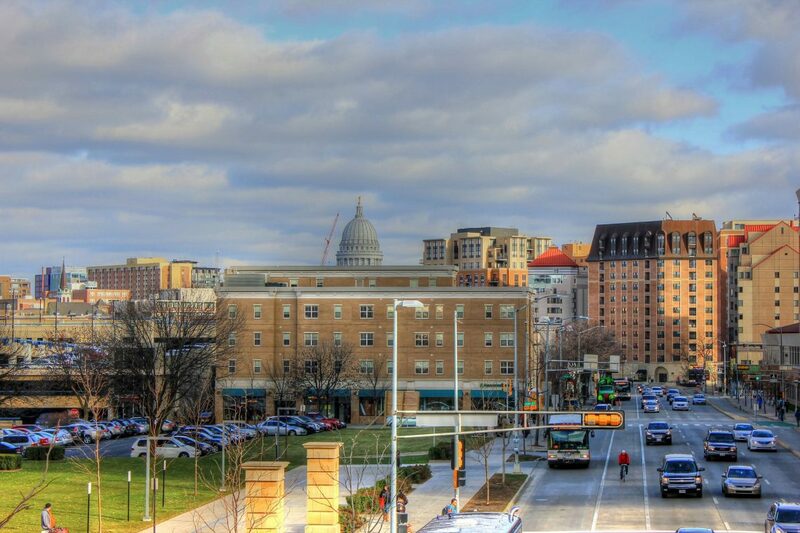 Madison’s iconic State Street is a beautiful downtown center for shopping, eating, and entertainment. Madison Deepfeet Studio is an ideal location for Ashiatsu course attendees. It is nestled in the historic art deco Quisling Towers Apartment building, it is centrally located to all of Madison’s hot spots, steps away from the State Capital, Monona Terrace Community and Convention Center, Lake Monona and Lake Mendota, UW Madison campus, parks, recreation, eclectic shops and restaurants featuring cuisines from around the world. We will gladly assist you with connecting to very affordable accommodation options nearby.